Are you looking for greener pastures? You’re not alone. According to the United States Census Bureau, an estimated 12,767,000 people moved to a new county, state or country between 2012 and 2013. The destinations of the nearly 13 million on the move varied, often determined by factors such as family needs and employment opportunities. But no doubt, there were many like you, looking for the best places to call home. We’ve got you covered. Here are the top 10 places to live in America. (Note: These rankings are grouped by metro area, with data coming from Forbes and Livability). Affordable housing and a variety of cuisine and entertainment options put the Dallas-Fort Worth Metroplex at the top of our list. Garrett’s Moving and Storage is based in the Dallas-Fort Worth Metroplex, but we’re not just being biased to our home base with this top ranking. We promise. Forbes listed Fort Worth and Dallas as the top two places to invest in housing in 2014, with median home prices for the area sitting at $174,514 and a 27 percent growth in the market expected in the next three years. (Forbes lists Fort Worth and Dallas as separate housing markets, but we’ve combined them in this guide.) Two northern suburbs — Denton and Plano — are featured on Livability’s Top 100 Best Places to Live list for 2014. The Metroplex is also full of entertainment options and events. There’s a vibrant bar scene, great facilities for the arts, a wide range of top-notch cuisine and everything from concerts to football games to rodeos to take in. And since Texas has no state income tax, you’ll have more cash in your pocket to spend out on the town. Charlotte features upscale restaurants, entertainment and housing in its Uptown district. This city in the lush, rolling Piedmont region of the Carolinas has been overshadowed by Atlanta for years. But it’s time to stop overlooking Charlotte. “The Queen City” came in just behind the Metroplex cities in Forbes’ rankings, with median home prices for the region sitting at $201,855 and a 24 percent market growth anticipated over the next three years. 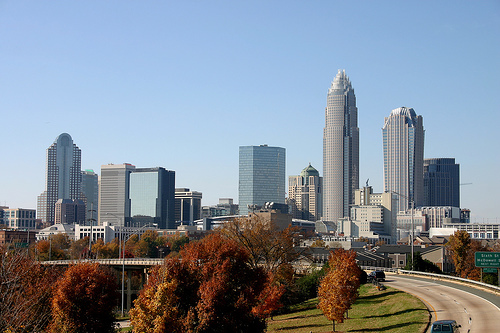 As a major American banking capital, many young professionals call Charlotte home. The city’s beautiful Uptown district reflects this pattern — with plenty of nice restaurants and upscale apartments in the city center (a rarity in southeastern cities). But Charlotte is more than just a ritzy banking town — the NASCAR Hall of Fame is located in Uptown and thousands of Southerners flock to annual stock car races at the 146,000 seat Charlotte Motor Speedway. Live music and entertainment options abound in Nashville. While Charlotte is somewhat of a hidden jewel of the South, Nashville announces its presence on a daily basis. 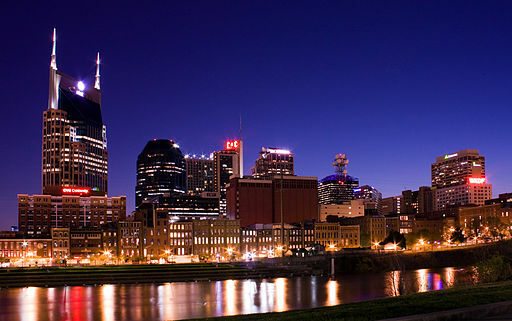 The home base for country music, Music City scores high marks for both livability and entertainment. Forbes ranks the Nashville metro area’s housing market as fourth in the country, with a median home price of $199,506 and market growth anticipated at 23 percent over the next three years. But we’re guessing you won’t be spending all your free time in your Nashville-area home. Tennessee’s capital has a vibrant nightlife scene, with plenty of bars and restaurants serenaded by live musical performances. If you’re a big fan of country music, you’ll want to check out the Grand Ole Opry and the Country Music Hall of Fame. And the city’s riverfront is sure to be a huge hit as well. Houston is home to the world’s largest medical center. 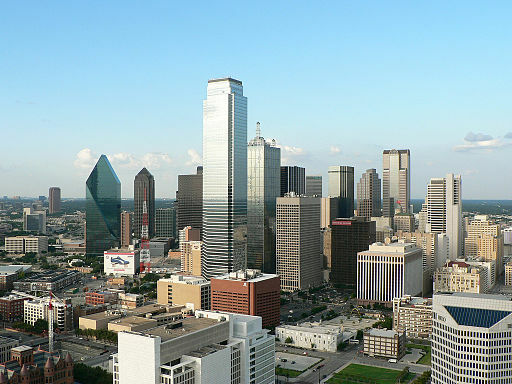 The Dallas-Fort Worth Metroplex isn’t the only Texas metro area to make this list. Another desirable destination sits about three hours down Interstate 45 from Big D.
Forbes ranks Greater Houston’s housing market as the fifth most desirable in the country, citing the median home price of $191,279 and anticipated three year growth rate of 24 percent. Houston has a little bit of everything. Southeast Texas is full of jobs in the energy, shipping, technology and space industries. 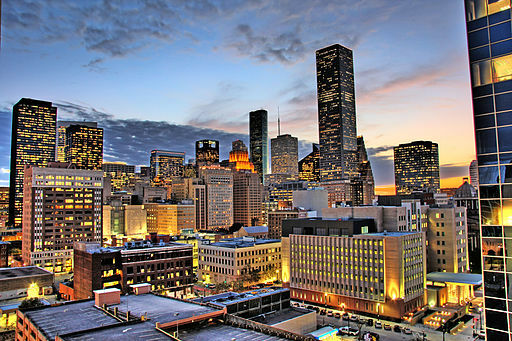 The Bayou City also has large museum and theater districts, along with the world’s largest medical center. The Bayou City is also a hub for big events. Each March, Houston is also home to the world’s largest rodeo. And nearby Galveston is both a draw for beachgoers and a departure point for Caribbean cruises. 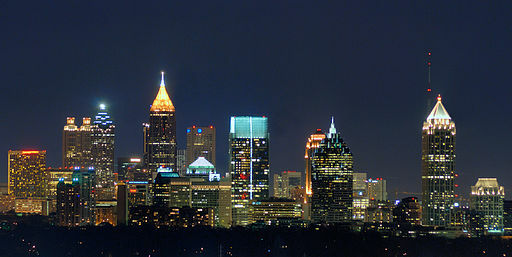 Many of Atlanta’s attractions are located next to the downtown Olympic Park. Home to the world’s busiest airport, Atlanta is the crossroads of the South. But it’s also a great place to put down roots. Forbes lists the Atlanta area as the sixth best housing market to invest in. “Hotlanta” features average home prices of $170,701 and an anticipated three-year growth rate of 26 percent. The Peach City is a major business hub in the South. It also features plenty of attractions for the whole family, such as the renowned Georgia Aquarium, the World of Coca-Cola Museum and the CNN Center — all of which are located around downtown Atlanta’s picturesque Olympic Park. Atlanta is also a great place to enjoy the outdoors. Located in the lush and hilly Piedmont region, The Peach City is only an hour’s drive from the Appalachian Mountains — making hiking excursions and other scenic getaways easy. Orlando has easy access to world-renowned family entertainment, including Walt Disney World. Mickey and Minnie call the Orlando area home. And it might be worthwhile for you to do the same. The Greater Orlando area comes in eighth on Forbes’ list, and Livability includes “O-Town” in its Top 100 Best Places to Live list for 2014. A the combination of a robust housing market and affordable home prices certainly helps; median home prices in the Orlando area sit at $172,609 with a whopping 35 percent market growth anticipated in the next three years. Orlando is a hotbed for family entertainment, as Walt Disney World, Universal Orlando and Sea World Orlando are all located in the area. Although the Orlando area is landlocked, the beaches of the Atlantic Ocean are an hour’s drive away, while the shores of the Gulf of Mexico are about 90 minutes to two hours away by car. The Tampa Bay area is home to some of the most beautiful beaches in America. 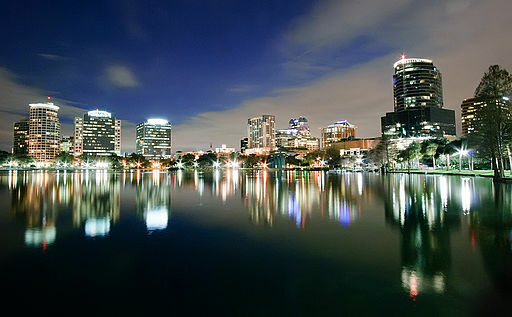 Florida also has two metro areas on this Top 10 list, for good reason. If warm weather, abundant sunshine, white sand beaches and picturesque sunsets over turquoise waters are your thing, the Tampa Bay area is the place for you. Tampa Bay came in 12th on Forbes’ list of desirable housing markets, and both “anchor cities” of the region — Tampa and St. Petersburg — appeared on Livability’s Top 100 Best Places to Live list for 2014. Despite its coastal location, the average home prices in the region sit at $165,052. The housing market is expected to grow by 32 percent over the next three years as well. 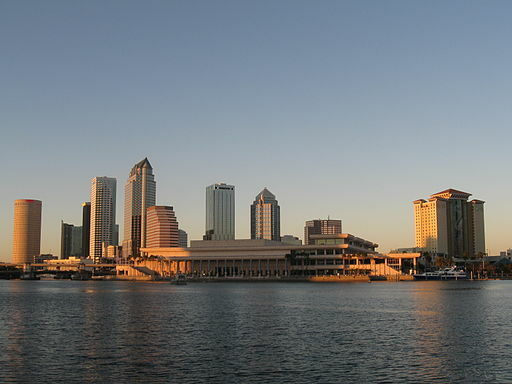 The Tampa Bay region is famous for its warm weather, beautiful beaches and large bay for boating. The recently redeveloped Ybor City district near downtown Tampa is a hotspot for nightlife, and Busch Gardens doubles as a zoo and a theme park. Finally, the Orlando-area theme parks are only about an hour’s drive away. With the Wasatch Mountains nearby, Salt Lake City has close access to world-renowned skiing. The capital of Utah might not be the first place you think of when you’re looking for a new city to call home. But putting “Utah” on your home address could be a great idea. 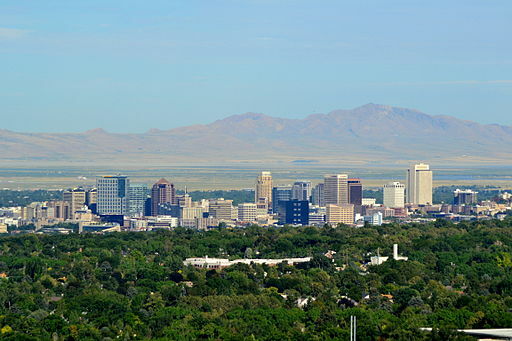 Forbes ranks the Salt Lake City area as the 14th best housing market to invest in, and the city comes in eighth on Livability’s Top 100 Best Places to Live list for 2014, with nearby Murray also making the rankings. The median housing prices here are high — sitting at $236,279 — but the market is expected to grow a robust 31 percent over the next three years. The Salt Lake City area is a great place to raise a family. The picturesque scenery and drier climate are also conducive for outdoor activities for much of the year. In the wintertime, world-renowned ski resorts in the Wasatch Mountains are just a short drive away. 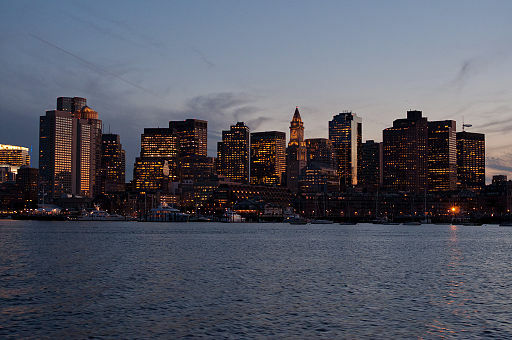 Boston offers a unique mix of nightlife and history. The oldest major city in the United States just might be the right place to start anew. Offering a large waterfront, four distinct seasons and plenty of nightlife, the Boston area is a great place to call home. Forbes ranks Greater Boston as the 15th best housing market to invest in, and two cities in the region — Cambridge and Newton — made Livability’s Top 100 Best Places to Live list for 2014. The median housing price is $323,245 with an anticipated three-year growth rate of 19 percent. Boston features a diverse economy, and the abundance of prestigious colleges and universities in the area makes it an appealing location for businesses to call home. The Boston area’s bar and restaurant scene are famously extensive, the city’s waterfront is picturesque, and the region is ripe with historical sites and museums. Although the winter can be harsh, Boston experiences four distinct seasons, and the ecological diversity of the region makes it easy to go hiking, boating or sunbathing when the weather is warm enough. A moderate climate and access to nearby waterways, forests and mountains make Seattle an ideal home for those who love the outdoors. This Pacific Northwest city is getting a lot of acclaim these days, and for good reason. It’s a wonderful place to call home. The Seattle area is 16th on Forbes’ list of desirable housing markets to invest in, with nearby Bellevue, Redmond, Tacoma and Everett all making Livability’s Top 100 Best Places to Live list for 2014. Housing prices average $319,544, with 33 percent market growth expected in the next three years. 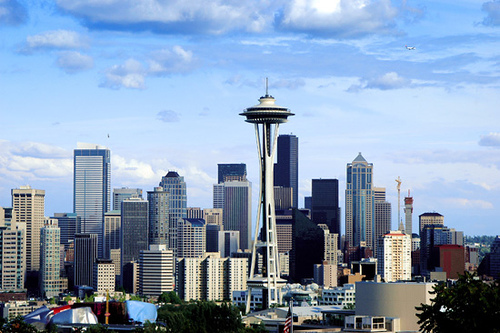 Seattle is a hotbed for the technology and eCommerce industries, and the area is brimming with young professionals. The area’s restaurant and nightlife scene are renowned, and nearby mountains, forests, bays and lakes make a variety of outdoor activities easy to access year-round. This entry was posted in Moving Stories, Travel Tips and tagged cities, housing, places to live. Bookmark the permalink.